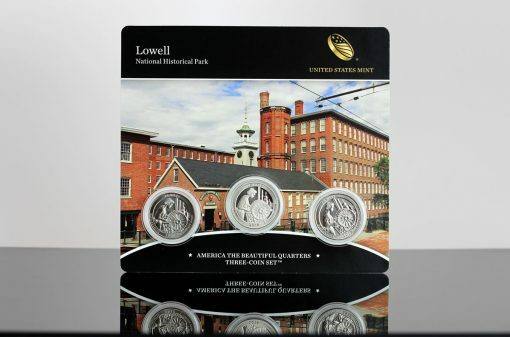 A CoinNews photo of this year’s first three-coin set with quarters emblematic of Lowell National Historical Park in Massachusetts. 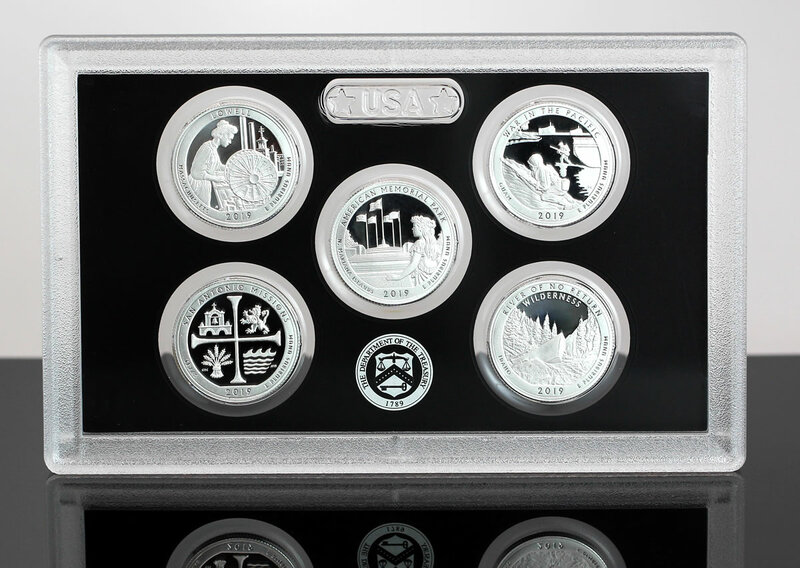 Coins of the product series are struck and issued by the U.S. Mint as part of its America the Beautiful Quarters® Program. The series debuted in 2010 and features five new quarters annually with each celebrating a different site of national interest. One site for the program was chosen from each state, the District of Columbia and the five U.S. territories. 9,638 sets for Cumberland Gap National Historical Park of Kentucky. Released Thursday, Feb. 21, the San Francisco Mint-produced quarters of the silver set honor national sites in Massachusetts, Northern Mariana Islands, Guam, Texas, and Idaho. The set marks a first for the U.S. Mint with each quarter struck in .999 fine silver compared to the 90% silver composition of past sets. It scored four-day sales of 43,924 for the best debut in the product line since 2016. *The U.S. Mint continues to sell last year’s set. In its latest report, the U.S. Mint published sales data for 113 numismatic products. Sixty-four products outperformed their prior weekly gains against 28 previously. Not counting the new products so as to compare apples to apples, 11 products increased by more than 1,000 units against 6 in the previous report. In addition, 3 products saw their sales reduced compared to 2 previously. 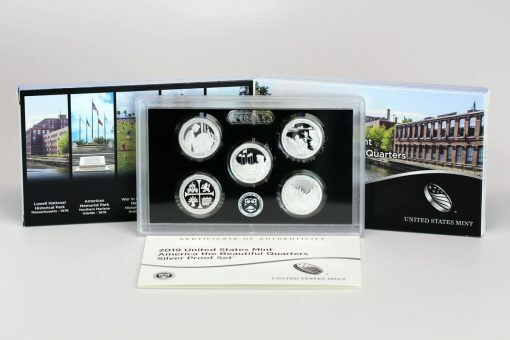 One saw a significant decline — minus 424 units for the 2019-S Proof Apollo 11 Half Dollar Set which recently sold out. Below are tables showing the latest sales for U.S. Mint numismatic products. The sales period covers from Feb. 18 to 24. Products with an asterisk (*) are no longer available or had no reported sales. Tomorrow, Friday March 1, the U.S. Mint will be giving away a free coin with the purchase of the annual clad Proof set. I don’t remember them giving away a free coin since 1996 with the free 1996-W Roosevelt dime in the annual Uncirculated Mint set.